#Blackgirlmagic is on full display in Adorned. In the late 90’s, a generation of kids would grow up watching Sailor Moon, a Japanese animated series about five school girls transforming into magical superheroes to fight evil. 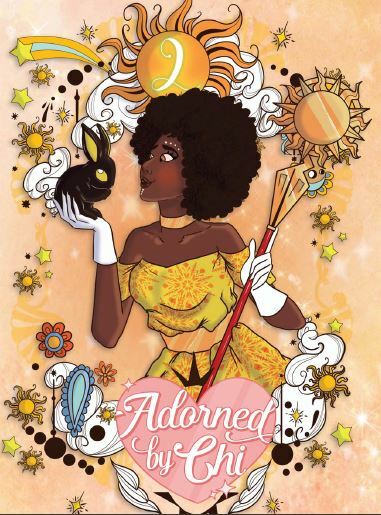 Sailor Moon has gone on to inspire magical girl works by and for Black women, such as Mildred Louis’s webcomic Agents of The Realm and Briana Lawrence’s novel Magnifique Noir. 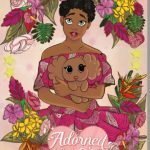 Now, Jacque Aye’s new comic series called Adorned By Chi combines Igbo cultural influences with magical girls to create a Nigerian magical girl team. In the first two issues, things are set up for what promises to be a great series. 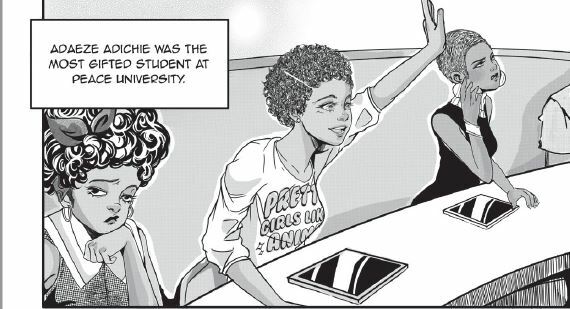 Issue 1 mainly focuses on the character Adaeze Adichie, a smart student at Peace University prone to crying fits due to her emerging empath abilities. The first issue also introduces twins Chigozie “Go Go” Okafor and Kelechi Okafor, the former becoming the focus of issue two. Go go is a cheerful, fun-loving dark skinned girl, while Kelechi is a Black goth with albinism. One notable aspect of each issue is how they feel like superhero origin stories that let you get to know Adaeze, Gogo, and Kelechi as everyday people. Many magical girls stories start off by showing a little about the character before going straight into the action. Adorned By Chi slowly builds up toward the transformations & monster fighting, putting character development first while revealing small details about the looming evil threat. With the focus on character development, it is easy to notice the Igbo cultural influences and the attractive artwork. 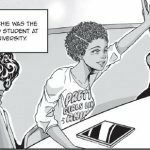 Jacque Aye, who is Nigerian American, has set the story in a fictional college university in Udobo, Nigeria. At Peace Unversity, the students are superstitious of juju and casually use Igbo phrases like, “Chineke meh!” alongside English. In addition, magical girl aspects like the guardian pet and the transformations are influenced by Igbo names & folklore. For example, one of the girls finds a rabbit guide named Anyanwu, which means sun in English. Even the “monster of the week” in one issue is called a Mmanwu, named after the spirits of Igbo masquerade festival. When it comes to the artwork, it is strongly influenced by Japanese anime and manga. Magus Alto makes all the characters cute and amusing, with the big eyes and comedic facial expression commonly seen in anime & manga aimed at girls. Alto’s beautiful rendering of various Black hairstyles is also notable, adding a realistic touch to the characters. 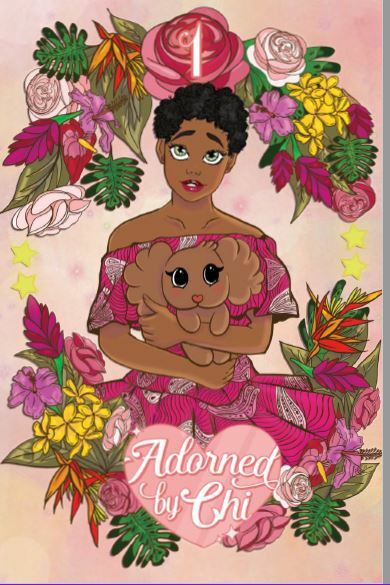 These aspects are also seen in Tiana Mone’e lovely cover art for issues 1 and 2, which feature Adaeze in a pretty pink theme and Gogo in a sunny yellow theme. 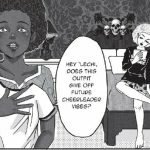 Overall, Adorned By Chi issues 1 and 2 is a unique, exciting addition to Black magical girl works. Both issues will make you smile and inspire you to harness your own inner power. 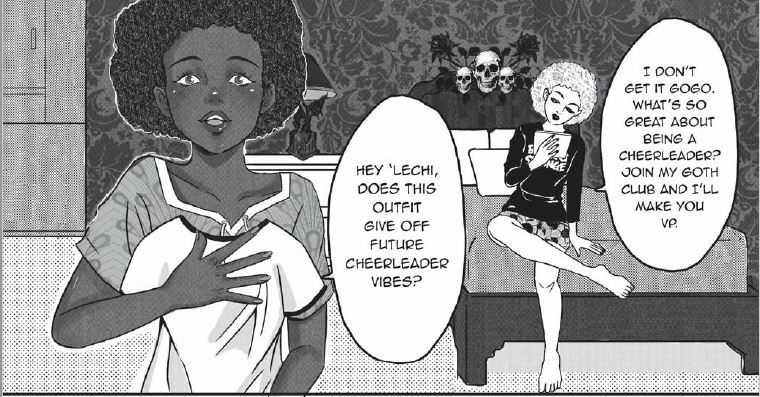 With relatable Nigerian female leads, interesting Igbo influences, and Blacktastic artwork, Adorned By Chi sets up some wonderful Black Girl Magic. ************************************************************************************************************************Latonya Pennington is a freelance writer from the southern United States specializing in entertainment and pop culture. 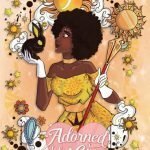 In addition to BlackSci-Fi.com, her pop culture work can be found on The Mary Sue, Black Girl Nerds, and Buzzfeed. When she isn’t freelancing, she can be found tweeting, reading, doing creative writing, or streaming music, shows and anime online. Find her on Twitter.